How to become the best & most successful blogger for you! Recently I’ve been reading lots of blogger tip blogs. They mainly revolve around your traffic, how to increase followers, being on every social media platform & making lots of money. Success can be measured in many ways but here’s my top 5 on how to be the most successful blogger for you. 1. Remember why you started? I’m sure he won’t mind me mentioning him, but John Sennett, is an incredible blogger who reminded me & still does when I read his blogs & tweets, why did I start. I started because I needed to vent, I needed to tell other people how I felt without saying the words, I needed a distraction from the 2 year therapy waiting list & I wanted to help other people in my situation or similar. Am I doing that? Yes! I sometimes get lost in how many views I’ve had, or comments, but when I truly focus, it’s providing me with exactly what I set it out for. Therapy for me. For me this in key. I’ve found myself chatting with other bloggers, joining groups & following feeds. I’ve looked online & I pick up tips & hints wherever I go. I’ve made many mistakes, far too many to mention. Will I make mistakes again, yes, but hopefully not them same ones. Each time I learn from them & how I could do something better. 3. Are you in it for the money or the love? Now this was an easy one for me. I’m raising awareness, don’t take that for a lack of ambition, & if the right companies, who have & are, come along for content writing or wanting to publish my work, then money is great. If you’re in it to make money, there are courses you can take, professional blog set ups, designs & logos, self-hosts etc & I really do believe you can make good money from blogging. For me, that would be too big a distraction & not healthy for me to focus or measure my success on that. My success is measured on how much better I feel after a posting a blog, feeling a weight lift from my shoulders. My success is measured in comments I read, saying family members have been diagnosed with the same condition & say my words have given them some insight into how their relative, daughter might be feeling. People sharing my posts or tagging a friend they feel might benefit from it. 4. Be kind & share the love! Don’t change what you write about, unless it’s organic of course. Be true to yourself. So many people try to write about things that will gain them more followers, but this is where point 1 is so so important. If you started for passion over a subject, then stick with that. By all means let it evolve as you do, but don’t write about something to you have no interest in just because it appears a more popular. There are many ways to rate your success. For me it isn’t about money, as lovely as that is when it happens, it was about sharing my story. If you’ve found this helpful please like, comment or share, because I think it’s important that we are all successful in our own right. Next postParenting sisters & brave enough to ask for help! 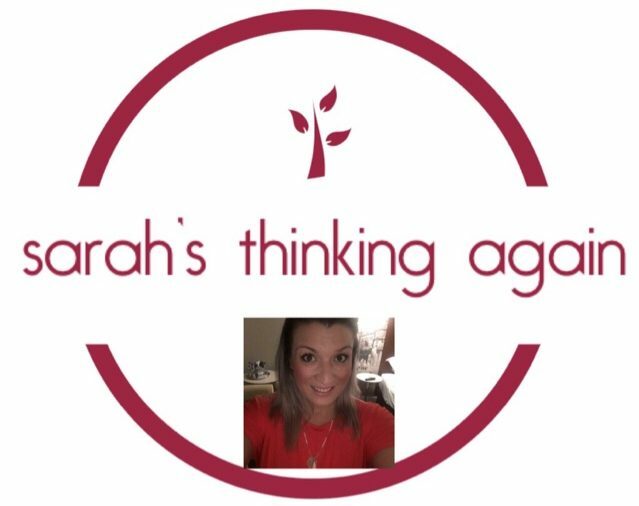 Thank you so much for the nod Sarah! And I agree John has some massively poignant, brilliant mind tweets that do catch you off guard in a great way. I love that you’re doing this for awareness, because it means it comes from the heart. Whilst it would be nice to earn money from the time you put into your blog, knowing that the possibilities of it helping someone else as well as yourself are massively gratifying for sure! Keep on with your journey, I’m so proud of you!